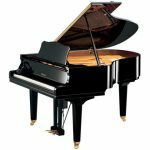 Yamaha’s original idea for the Disklavier was to create an educational tool from a traditional acoustic piano that had the ability to record and playback a student’s performance. With the introduction of MIDI (Musical Instrument Digital Interface) a universal programming language that musical instruments can communicate with each other, this ability to record and playback a student’s performance was realized and so enabled expansion into a much larger field. 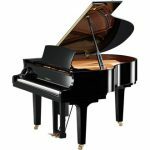 The Disklavier uses electro-mechanical mechanisms which are completely independent of the acoustic pianos action and tone production to give the highest quality recording and playback available on a piano. The name comes from the word Disk which is the original computer technology from which it evolved and from the word Klavier which means keyboard. 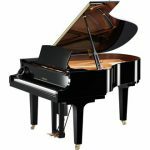 A Disklavier is a traditional acoustic piano combined with modern technology that gives the owner an unlimited array of recording, playback, educational and entertainment possibilities. You can use the Disklavier as a traditional piano. 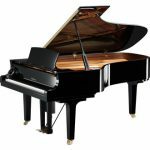 The Fiber optics and electronics in no way inhibit the use of the piano in its traditional form. You can use the Disklavier as a recording piano. The newest Pro models use over 1000 increments of velocity that measure every nuance of an individual performance. You can use the Disklavier as an entertainment piano. More than just a player piano, it is a true reproducer of the most sophisticated music which can even include accompaniment. You can use the Disklavier as an educational piano. With current modern technology and the internet, the new Disklavier can communicate with institutions and private studios from coast to coast. The Disklavier ENSPIRE is the latest version of the Yamaha Disklavier. 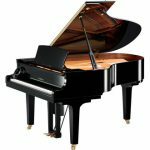 It is the only piano that can truly reproduce all articulations and all the details from the keyboard and pedals including the speed by which they are released. This meticulously recreates every nuance of a piano performance. These extremely accurate recording functions allow teachers and students to critique recorded and live performances – providing new ways for students to enhance and improve their musical development. These proprietary technologies give users the ability to create, archive and share an acoustic piano performance using just the piano and a video camera. 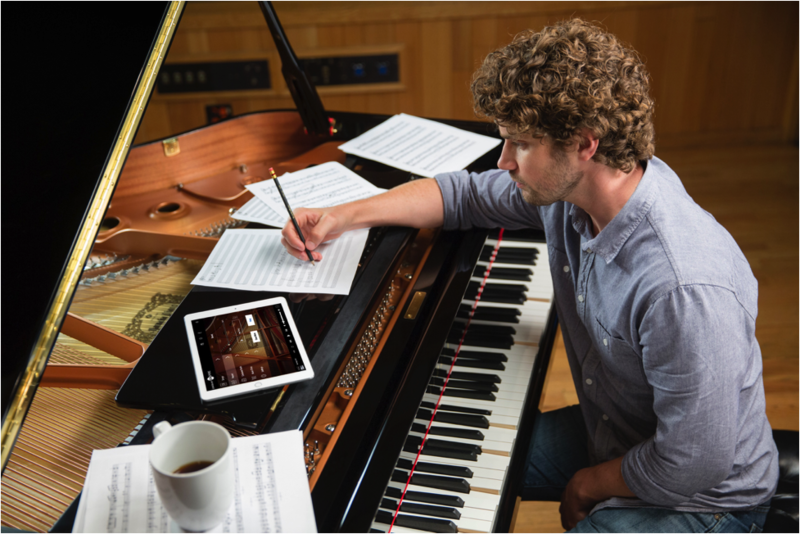 Using your existing Wireless network the Yamaha Disklavier allows for connectivity with mobile devices, smartphones and computers. The ENSPIRE offers revolutionary streaming radio services, allowing you to discover and enjoy thousands of piano performances in the comfort of your own home. Wireless network connectivity and seamless compatibility with mobile devices, smartphones and computers allows easy and intuitive access to all of the instrument’s exclusive content and unique capabilities. The Disklavier ENSPIRE allows you to enjoy whatever music suits your need, from classical piano to concertos, to your favorite jazz or popular songs on piano which includes accompaniment with audio and vocals. 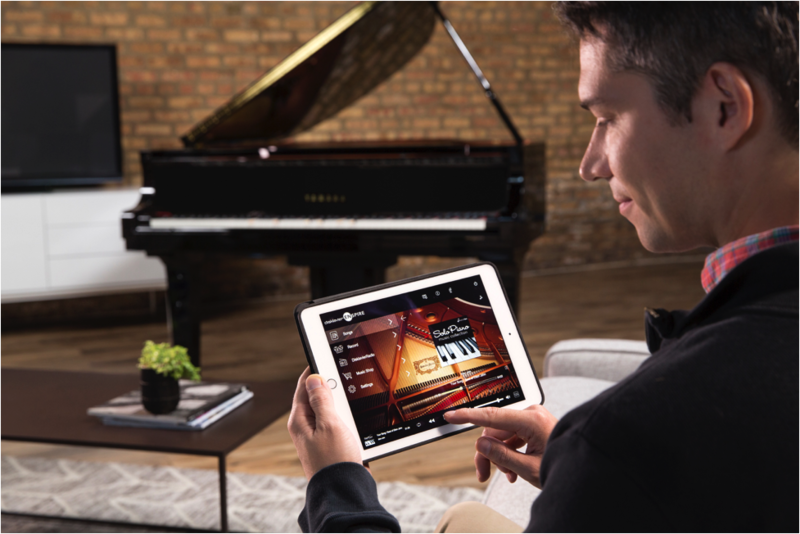 An easy-to-use and intuitive user interface design powered by smart phones, tablets or a computer provides direct access to 500 built-in songs and thousands of performances that can be downloaded directly to the instrument from the Yamaha MusicSoft online store. In addition to the built in songs, the ENSPIRE also offers revolutionary streaming radio services, allowing you to discover and enjoy thousands of piano performances in the comfort of your own home. Disklavier Radio gives you instant access to 30+ channels of 24-hour streaming piano music. 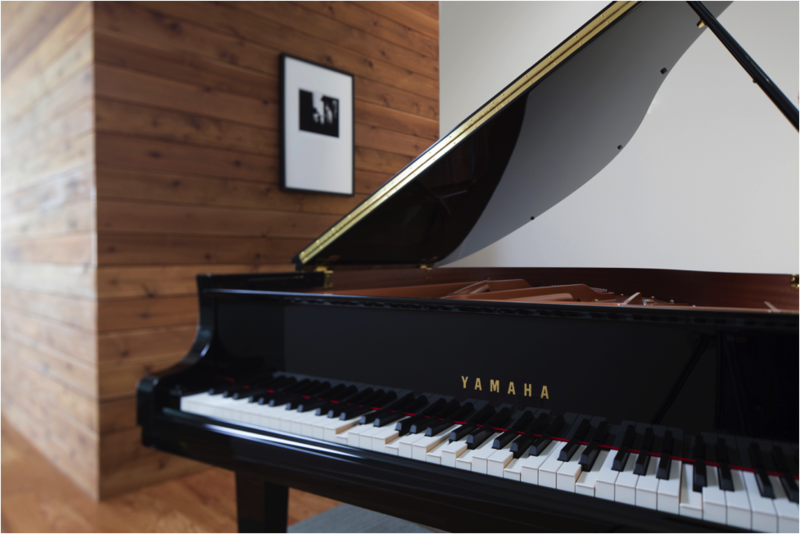 Disklavier ENSPIRE features popular, award-winning Yamaha artists such as Sarah McLachlan, Bob James, and Jamie Cullum. These performances are not simply a rendition of the artist’s songs, but exclusive performances by the actual artists themselves, recorded specifically for Disklavier ENSPIRE. Experience the genuine touch, nuance and emotion as the instrument recreates a precise performance of the artist’s intentions. Yamaha SILENT Piano™ technology allows you to listen, learn and play without being disturbed or disturbing others. 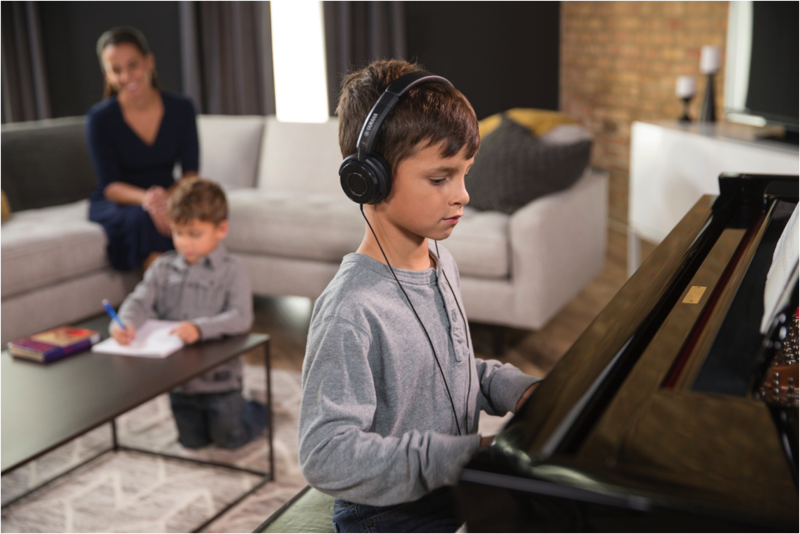 The Disklavier ENSPIRE binaurally recreates the sound, presence and resonance of a Yamaha CFX Concert Grand from the player’s position through the included headphones. This innovative technology is built into every ENSPIRE ST and PRO model Disklavier, giving you increased flexibility and more opportunities to enjoy your piano. The Disklavier ENSPIRE can truly reproduce every nuance of a piano performance, precisely recreating all of the details of any recording and performance. For example, a player’s key release timing controls the exact timing of each individual damper coming down on the string. 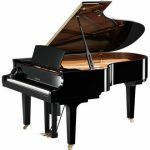 Other player systems rely on predetermined programming to control the release of the piano keys. This results in every key releasing at the exact same speed during playback. This type of programming equates to half of the original performance being altered. In this example half of the human element of the piano performance is removed. The Disklavier, by contrast, can reproduce all articulations of the performance, including the speed by which a key is released. In addition, the Disklavier has an advanced AccuPlay Digital Signal Processing technology that is intelligent enough to verify and adjust itself during playback to ensure accurate performance reproduction. 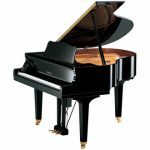 The Disklavier ENSPIRE PRO version is the only instrument with fully integrated high-resolution recording and playback functionality that is capable of capturing and reproducing 1024 dynamic levels of key and hammer velocity, as well as 256 increments of positional pedaling. Equipped with a cutting-edge optical sensor system that precisely captures every nuanced movement of the keys, hammers and pedals, the Disklavier ENSPIRE will precisely reproduce the speed of each hammer as it strikes the string, the finest detail of your pedaling, and even the velocity of your key release.